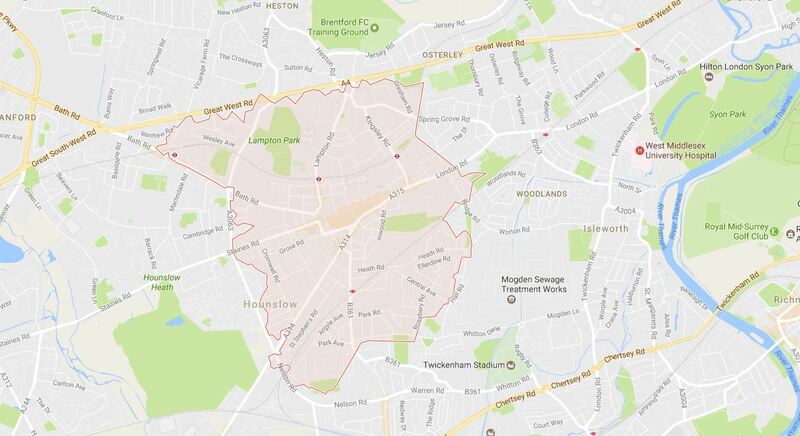 If you need a handyman in Hounslow London, you’re in luck, because Handy Squad has the whole TW3 area covered. Our handymen can be seen riding their unmistakable yellow scooters all over Hounslow, so why not give your Hounslow handyman a call? Our handyman London team has been providing a fantastic service to the city since 2005, so you know you’re in good hands. An important economic hub of West London that’s given its name to a London borough, Hounslow has been a thriving town since mediaeval times. The busy High Street, which contains a wide range of shops, cafés and restaurants, is supplemented by a large shopping centre. Hounslow is home to many independent businesses, a number of which serve nearby Heathrow Airport in some capacity. Hounslow’s proximity to Heathrow has made it a crucial link between London and international travel, and many hotels have opened up in the area. It also has its share of open spaces, though, notably the historic Hounslow Heath. If you’re looking for a plumber in London, an electrician in London or jet washing in London, Handy Squad covers electrical work, plumbing, decorating, carpentry and much more. From redecorating your home to putting up shelves, every job is taken seriously by handymen experienced and qualified enough to cover it all. And, even if you come up with a job we haven’t thought of, our handy man in Hounslow has the flexibility to complete it successfully. To book your handyman in Hounslow, just give us a ring on 0800-0-12 12 12. Or, if you’d prefer, drop us a message on our contact form.